First off, let me clarify: We didn’t actually drive to Alaska, despite our intention for about 15 years to do so. Our plan was always to drive the ALCAN start to finish, all 1,365 miles (current distance according to Google) from Dawson Creek, BC to Delta Junction, AK. Then we figured we’d drop south through British Columbia on the Cassiar Highway on the way home. Well, here in far northern California, we’re about 1,405 miles away from Dawson Creek, BC. For some unknown reason (age maybe? 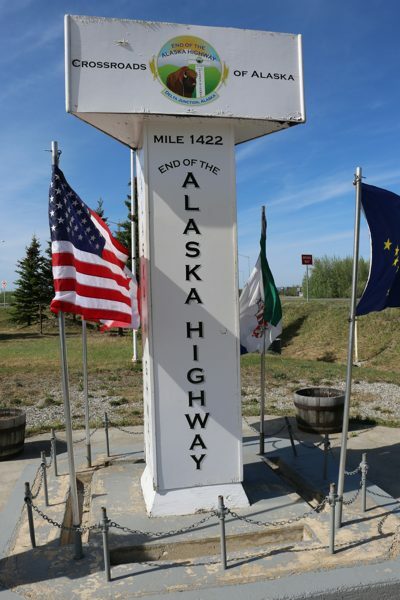 ), driving 1,405 miles so we could drive 1,365 just to get to Alaska sounded a lot less appealing than it did 15 years ago. Then we heard all about the ferry (thanks, Dad!). 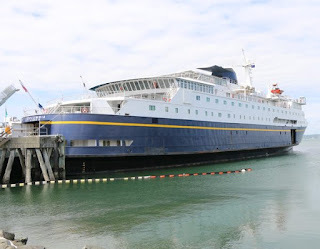 Turns out the M/V Columbia runs the Inside Passage from Bellingham, WA to Skagway, AK each week and with Bellingham only 687 miles away, we decided to go to Alaska by ferry instead. But the ferry is part of the Alaska state highway system so that still counts, right? 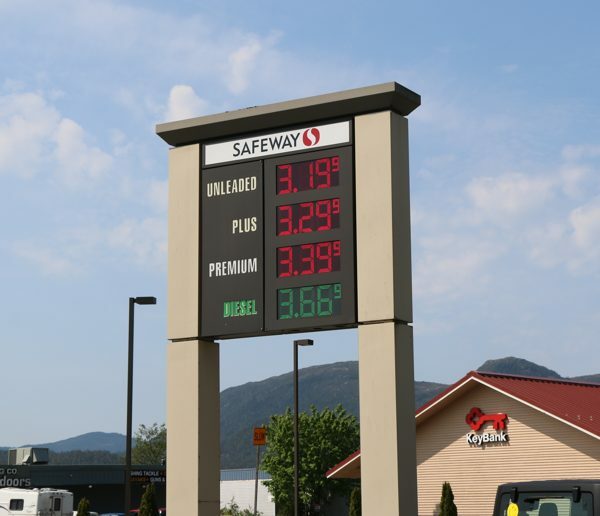 After recalculating our intended mileage based on ferrying our car to Skagway but possibly “dropping by” North Dakota on the way home, we checked Alaskan gas prices online and padded the numbers some. Then we reduced our estimated mpg, from the usual 30 to 25, to account for slower roads and rougher driving conditions. Our final fuel budget was an even $1,000 calculated as follows: 7,000 miles/25mpg x $3.50/gal. Our car (third forward on left) squeezed in! Anyway, at the time we were there, fuel we purchased in Alaska averaged exactly $3.50/gallon but the prices in Canada were a little higher, even with the favorable exchange rate. 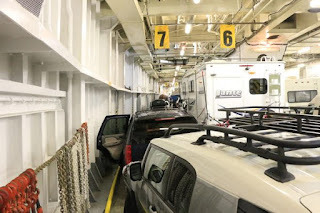 So gas to Alaska and back averaged out to $3.56/gal but our car got its usual 30 mpg and we drove close 800 fewer miles than originally estimated** – so we came in under budget. How cool is that? *Total mileage calculated as follows: $736/$3.56=207x30=6,210 (i.e. total fuel cost divided by average cost per gallon equals total gallons consumed multiplied by mpg equals total miles driven). 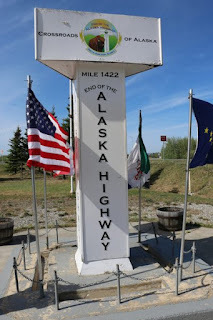 In using the same method to calculate our travels in the lower 48 and then adding that to the Alaska trip miles, I came up with very close to the 12,360 that we know to be the total mileage for our full 7-week trip. **We actually drove about 1,200 extra miles in Alaska/Canada but didn’t drop by far eastern North Dakota after all, which saved about 2,000 miles.